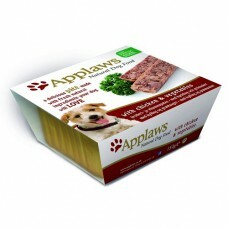 These days there are so many different brands of dog food, but many of them are very similar. We recommend reading the ingredients and understand what you're really feeding your dog. Click here for our guide to dog food recipes. 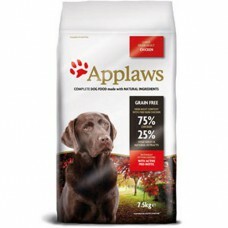 LITE ADULT ALL BREEDS - CHICKEN Applaws life-stage specific Lite dog food Chicken is di..
LITE ADULT ALL BREEDS - CHICKEN Applaws life-stage specific Lite dog food Chicken is d.. 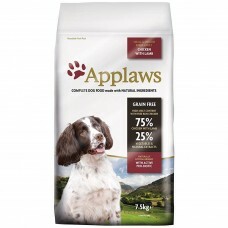 ADULT LARGE BREED - CHICKEN Applaws life-stage specific large breed Adult dog food Chicken .. 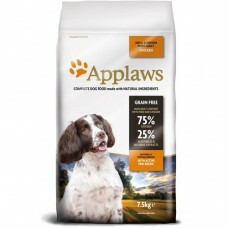 ADULT LARGE BREED - CHICKEN Applaws life-stage specific large breed Adult dog food Chicken.. ADULT SMALL & MEDIUM BREEDS - CHICKENApplaws life-stage specific small/medium Adult dog f.. ADULT SMALL & MEDIUM BREEDS - CHICKENApplaws life-stage specific small/medium Adult dog .. ADULT SMALL & MEDIUM BREEDS - CHICKEN AND LAMB Applaws life-stage specific small/medium Adu.. 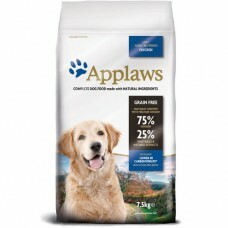 ADULT SMALL & MEDIUM BREEDS - CHICKEN AND LAMB Applaws life-stage specific small/medium Ad..
APPLAWS Chicken Breast & Vegetables 100% natural complementary pet food for adult dogs made with ..
APPLAWS Chicken Breast with Ham & Vegetables 100% natural complementary pet food for adult dogs ma..
APPLAWS Chicken Breast with Tuna & Vegetables 100% natural complementary pet food for adult dogs m..
APPLAWS Tuna Fillet with Vegetables is a 100% natural complementary pet food for adult dogs made wi..
All Applaws Dog Pâté are made with fresh, 100% natural ingredients and are a complete food for adult..